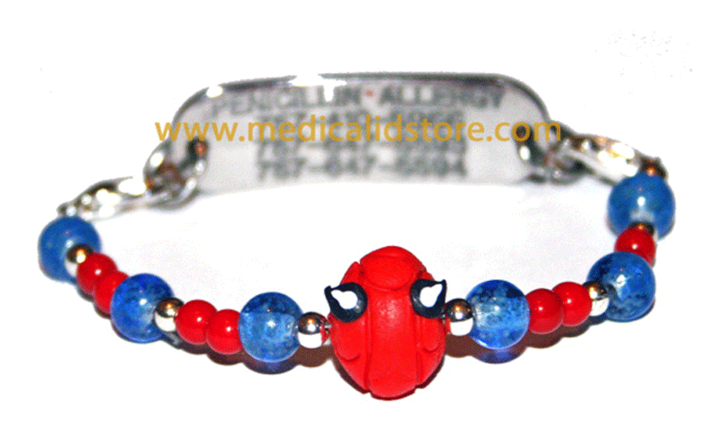 Spider Spidey man boys beaded glow in the dark medical id alert bracelet is awesome for those who love spiderman. Our beaded medical id alert bracelet is designed with style to be fun and unique! This was created using a polymer clay spiderman inspired bead, rounds, awesome cool fun glow in the dark blue beads, red beads, the red ones are NOT glow in the dark.